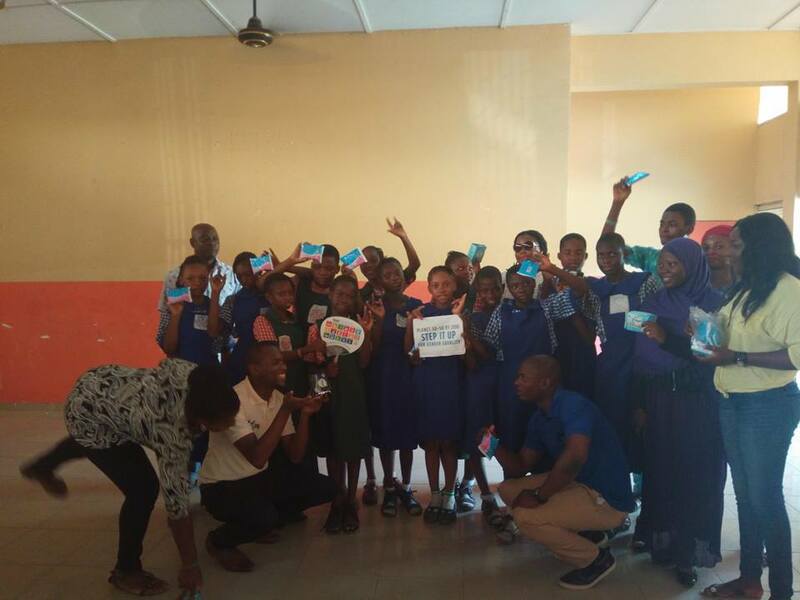 Giving Garage presents the “#PadMan Initiative” – a campaign to help boost girl child education in Nigeria! 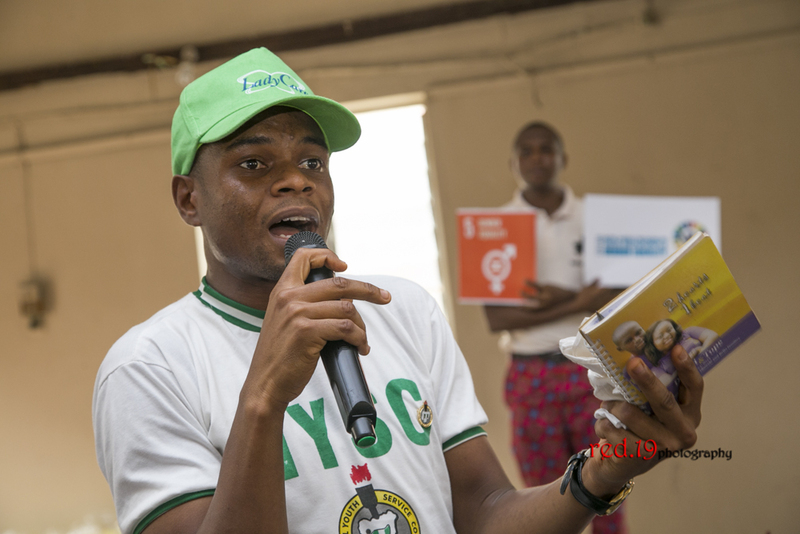 Sometimes when things happen, we get so bogged down by it that we need an external force to pick us up and that was the case of Inegbedion when he learnt about the present hike on sanitary pads and wants to join forces with young men and women to change the narrative. With Nigeria in a recession, embracing frugality is helpful and recommended, but there are things that frugality can’t deal with. 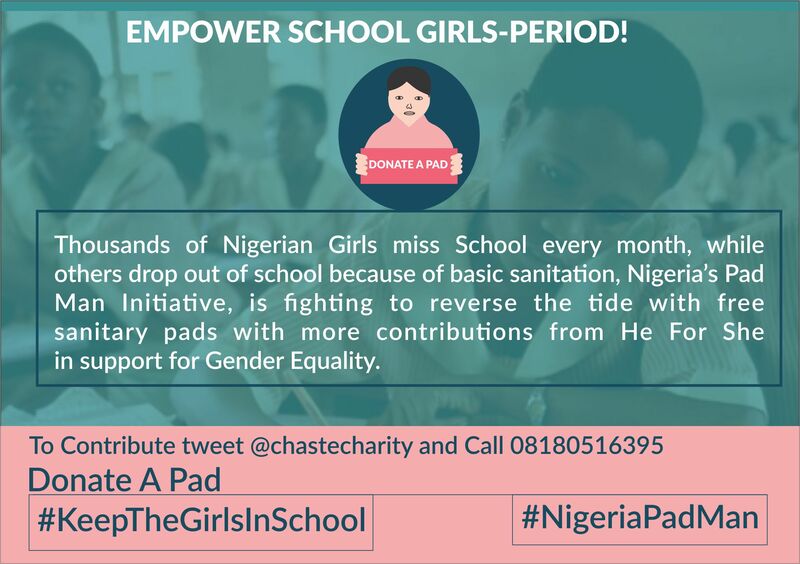 One of them is the cost of sanitary pads in Nigeria today. Women and girls simply cannot opt out of their periods. Barring pregnancy or ovulatory disorders, menses will occur every month and the flow must be dealt with. Imagine all these worries for teenage girls attending schools combining the fears of expensive sanitary pads with the consequences of missing school. On Friday 20th January 2017 (Same Day as the Inauguration of Donald Trump, President of the United States of America) Mandela Washington Fellow Alumni Ejiro Sharon Okotie and Public Health Specialist at The U.S. President's Emergency Plan for AIDS Relief (PEPFAR) Dr Saidat Abisola Akanbi was seen supporting “Nigeria’s Pad Man” Chaste Christopher Inegbedion in his bid to improve learning outcomes for underprivileged girls in selected schools in Lagos Nigeria through a Sanitary Pad Donation Drive. 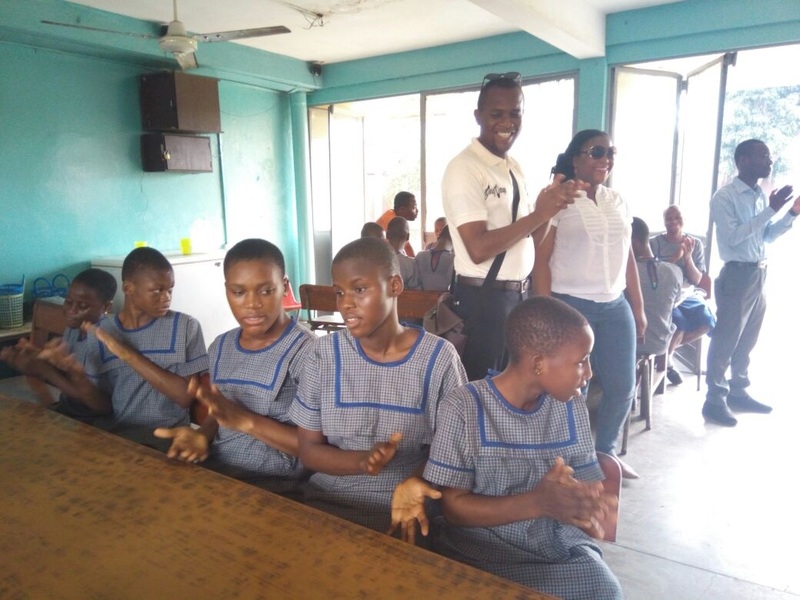 A Pilot School Visit to Wesley School of the Hearing Impaired and Pacelli School of the Blind, Lagos was embarked upon to distribute sanitary pads and educate the Girls on Sanitation and Menstrual Hygiene Matters in an “Hour of Hygiene”. We currently seeking support towards mobilization of 3000 Sanitary Pads of varying sizes, colors and brands to achieve our overarching goal of reaching 3000 girls. With your support in kind donations, we are a step away from reaching the milestone. Starting with ‘Special Needs’ School Girls in Lagos the organisers would be declaring 2017 as the year the period went public in Nigeria and with an obsession from Chaste, an advocate of Young Men in Gender Equality, "a member of the United Nations Inter-Agency Network on Youth Development's Working Group on Youth and Gender Equality" working with stakeholders to provide low-cost recyclable and reusable sanitary pads for the school girls. 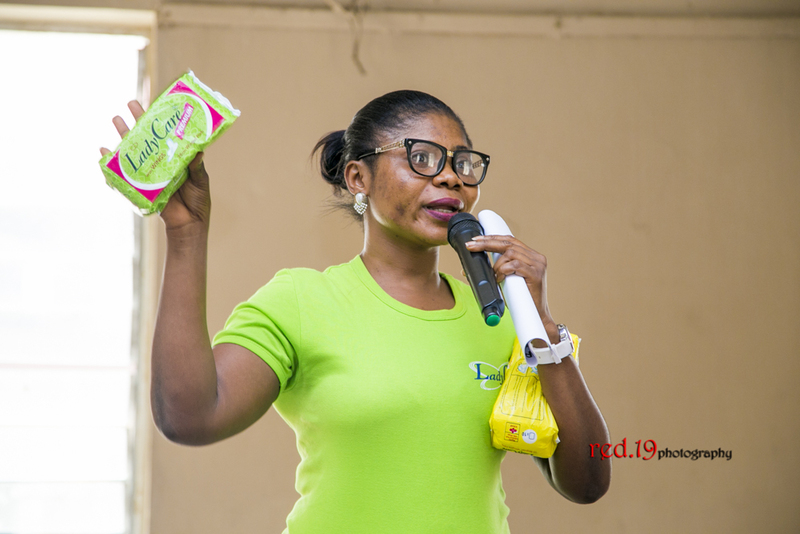 Periods are personal, but talking about these issues respectfully should not be taboo especially in the general terms that most discussions about the cost and convenience of managing personal hygiene will be held in. 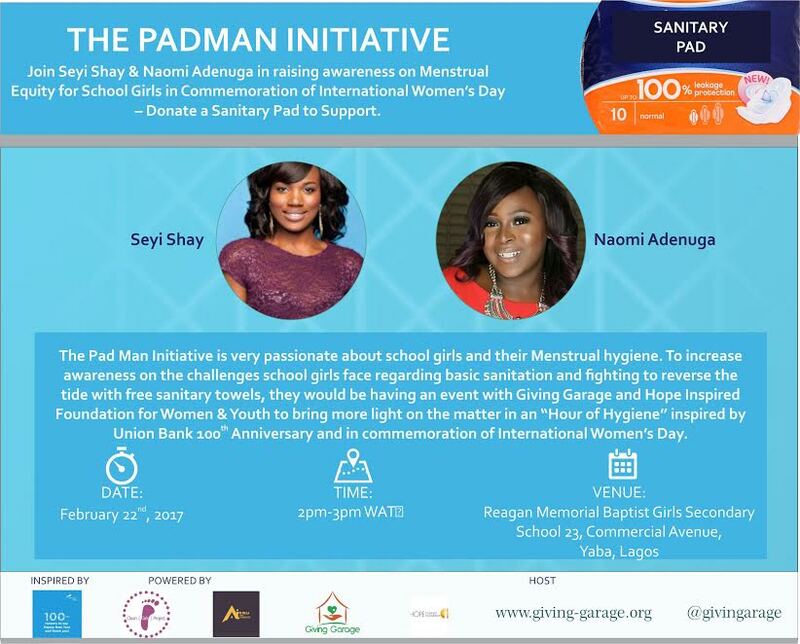 Pad Man initiative is in support of a ‘He for She’ Movement in Nigeria and to help build on the outcome of the Sixtieth session of the United Nations Commission on the Status of Women (CSW) and to be presented at the Youth Forum of the sixty-first session taking place at the United Nations Headquarters in New York in March 2017"
Building on her success, another edition was inspired by the Wife of the president, Her Excellency Aisha Buhari is committed in promoting girls’ education and other issues concerning the girl-child with her pet project ‘Future Assured’ (The Get Involved Scheme) created to advocate improved health and promotion of health status of the vulnerable and marginalized section of the Nigerian population and in commemoration of International Women’s Day in Nigeria on Tuesday, February 22nd in Lagos at Reagan Memorial Baptist Girls’ Secondary School in Yaba, Lagos and Wednesday, March 8th in Abuja leading to May 28th which is Menstrual Hygiene Day in different locations across Nigeria. 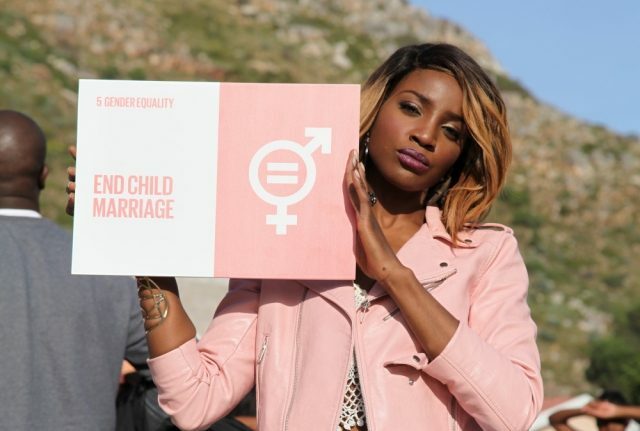 Seyi Shay, an award-winning music superstar & Philanthropist also plan to use this platform to advocate for women's bodily autonomy, especially given what appears to be an adversarial stance on reproductive rights with the recent sanitary pad hike and a clarion call to celebrities and the media to lend their voice. 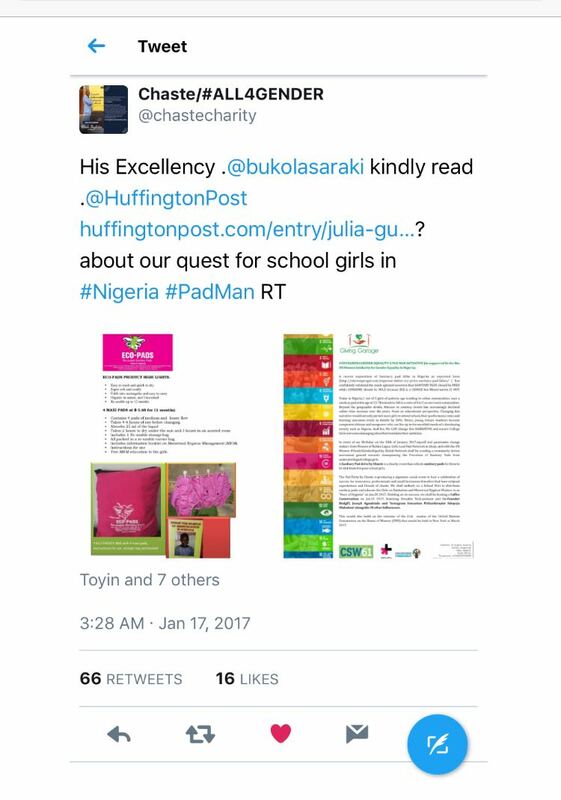 The Pad Man Initiative has set a personal example by publicly committing to donating and then asking others to do what they can, in a recent tweet to the Senate President @bukolasaraki calling on the National Assembly to make history like New York City with passage of the nation’s first menstrual entity legislative package to ensure access to menstrual products in public schools. 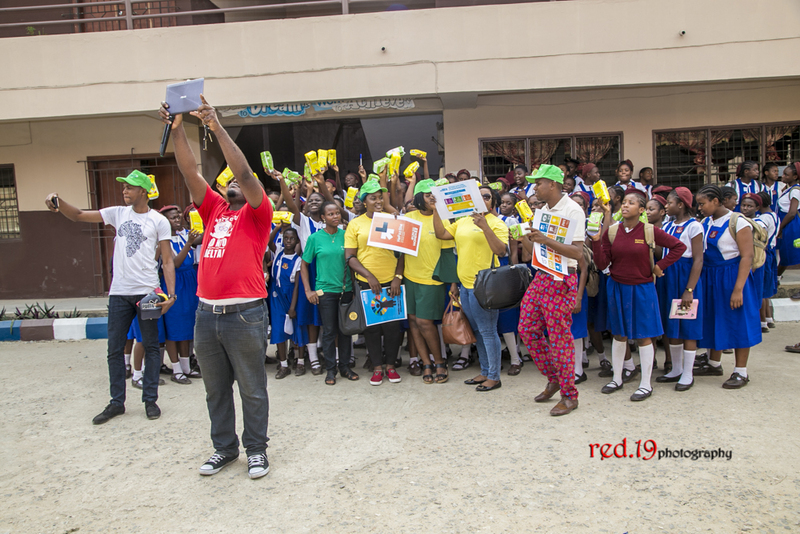 In doing so, Nigeria would step out as a leader in a growing national and global movement for menstrual equity and make the ‘pad man’ initiative a sustainable one. 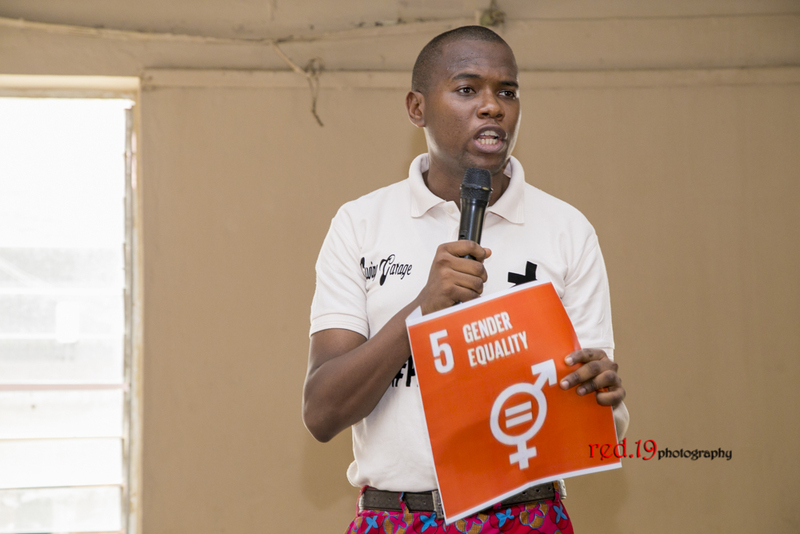 Speaking on Menstrual Equity and Gender Equality of the Global Goals, Alphonsus Inegbedion, An SDGs Advocate, National Youth Service Corps Member and a Legal Practitioner said “SDGs implementation and success rely largely on countries' own sustainable development policies, plans and programmes. SDGs involve us all to build a more sustainable, safer, more prosperous planet for all humanity. 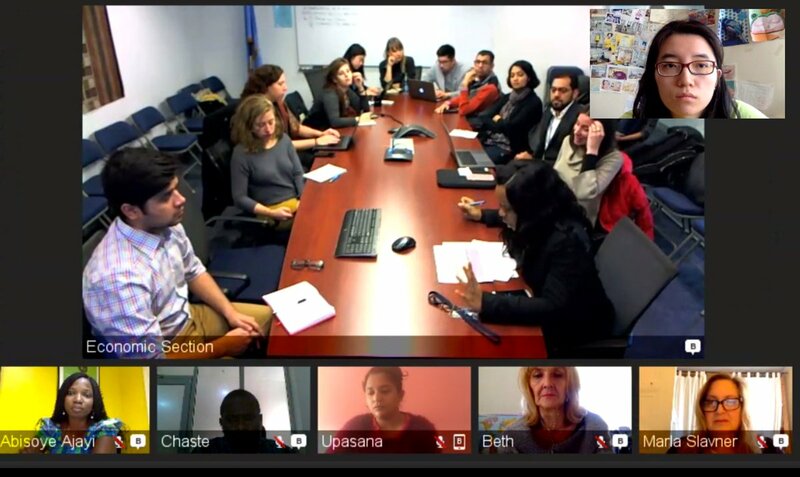 All stakeholders: Governments, civil society, private sector, individuals and others are expected to contribute. Also, a multi-stakeholder partnership has been recognized as an important strategy. Therefore, Government should live up to their commitment to the signed treaties and Conventions on Gender Equality. The Senate Leadership should orientate her members on the immense benefits of the opposed bill, or better revive at the House of Representatives. Having noted the causes of gender inequality, those causes should be tackled one by one. Lastly, the family is the basic unit of society, before schools and church/mosque. Therefore, parents should eliminate all forms of Discrimination or violence against the girl- child and promote equal opportunities. With these, Nigeria will be better for it”. 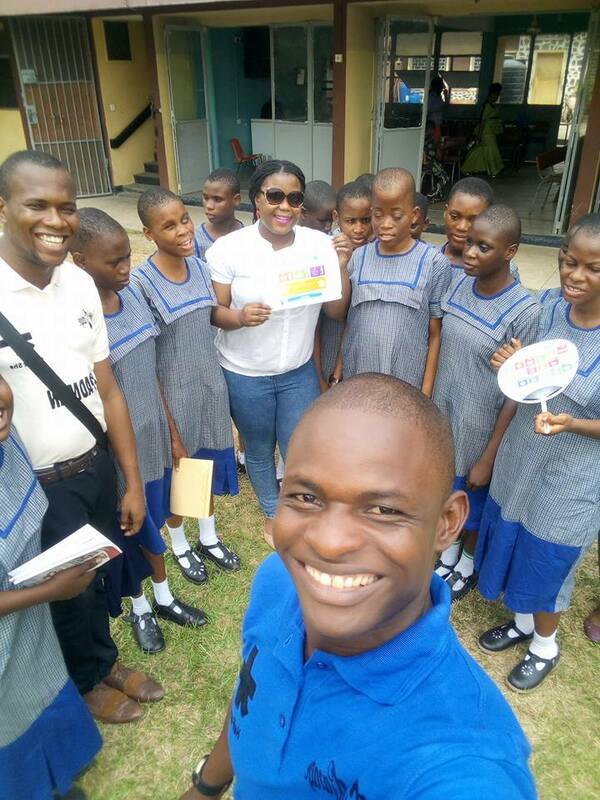 "We're flattered," said Amune T.O, a Principal of Reagan Memorial Baptist Girls’ Secondary School, host school in Lagos. " The Importance of the girl-child and her nature cannot be over emphasized due to their nature as the bedrock of any developing society through the family. 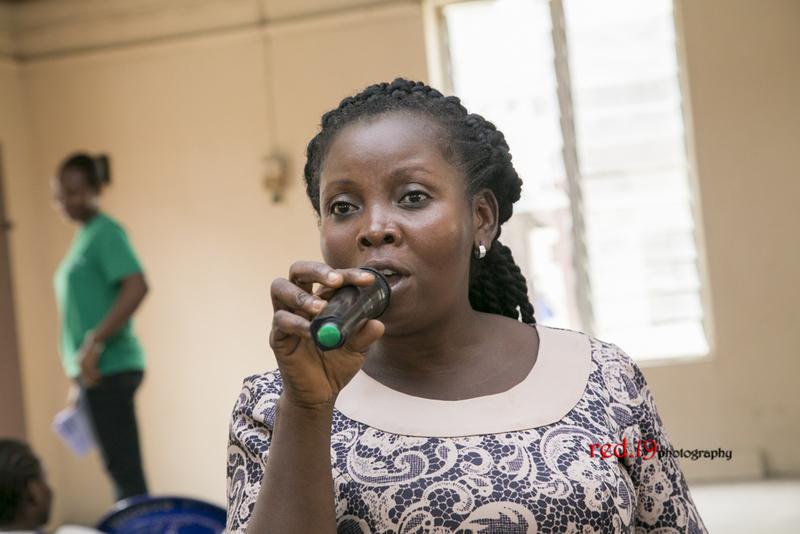 Having these honest conversations in our school is really amazing for us to see put off the girl-child and put off the development of the Nation"
"2017 is going to be the year we say period to Periods with provisions of affordable sanitary pads," Amanfu Ogechi Peculiar Head, Promotions Sankin Industries owners of Lady Care said. "And as manufacturers in women's health, I'd like to see us bond together to advocate for policy and innovation that don't work against us. 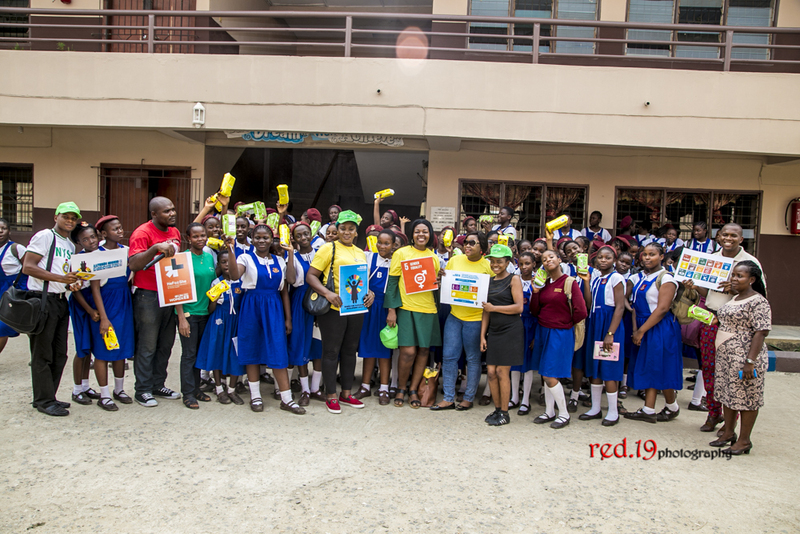 We believe this year how much more powerful a few of us doing together than going it alone the reason we are associating with the team of Giving Garage, Clean Girls Project, TEENSED Foundation, Red 19 Photography and Hope Inspired Foundation for Women and Youths." It's really sad that we don't see this type of things in the mainstream media (and it sounds stupid coming from a journalist - IT though). This is an extraordinary thing to do. Amazing initiative! Very nice and timely. Please how can I achieve this in the community I reside in? Bethany Heinrich and 5 others upvoted this.